Edit: Wrong location to post that. Zetal posted a message on War3 Extension Mod Implementation - Race Selection? I suppose doing an extension mod for this isn't on the table then. I'll just have to upload a couple maps to the arcade instead :) Thanks for your help, guys! Unless I'm missing something, 'Game Variants' is not an option when working with Extension Mods, since Game Variants requires a specific map- but an Extension Mod is designed to work with any. Yes, but other problems have arisen that I still haven't given up on trying to fix. To clarify, I'm trying to add the Starcraft races back in and balance them appropriate so that you could play Zerg vs Orc or something equivalent. Right now I have it as a lovely extension mod, and I've started chipping away at an automatic map-converter that will change the portion of the map belonging to a player of a certain type from the Starcraft resources to the Warcraft resources (adding a large abundance of trees in what I think is a 'natural' pattern, and a gold mine at the proper distance) and that's coming along nicely, but I still have a big issue with the race selection. So basically this is where the situation is: There's a selection dropdown for Terran, Zerg, and Protoss. Then there's another selection dropdown for Orc, Human, Night Elf, and Undead. Then there's a third dropdown for Terran, Zerg, Protoss, Orc, Human, Night Elf, and Undead. So unless I'm missing something, I'm thinking I'm going to have to completely override the whole race assignment system from the ground up, maybe using your Set Race UI function? Would be useful... Might even just forgo the lobby race selection entirely and have it be done in-game using UI stuff, haven't decided yet. Anyways, that's where I'm at. Just want to end this post by thanking you, Renee, for all the amazing work you've done on the War3 mods! It truly truly is very impressive. Apologies in advance if this is a foolish question or I'm missing something obvious- it's been a long week and I hope you'll forgive me. I've been using the War3 mods so kindly provided by Renee, and they've been working wonderfully. I just published the Extension Mod I had been working on that uses the War3 mods to bnet to test it, when... well, the War3 races aren't selectable! Bummer! Is there something in particular I have to do in order that the War3 races are selectable in the race dropdown like in the Arcade version? Edit: Made some changes and now the races appear. I'm not really sure what I changed, other than reuploading the map? Maybe I just missed it the first time. Woops. I don't see that. When I open the export dialog, it just asks me where to save it, nothing else. What am I missing? So I got a vanilla model all retextured how I like it with team colors, looks great in-game (or as great as it's going to, I guess) but when I publish it to Battle.net, for some reason the textures don't work! And I get a white/blackish texture instead of what it's supposed to look like. I'm at a loss, here. Not even sure what to try. I'm having possibly the strangest issue I've had in the long time that I've worked with the Starcraft 2 Editor. I have a custom unit called the 'Raider'. It's a flying dropship that allows the units inside of it to fire while its moving around, like a flying, moving bunker. That, unfortunately, isn't the issue. The issue is that when I try to add certain buttons to the command card of this unit, they don't appear. I've checked literally everything, and it occurs even for the 'Attack' ability which is completely unmodified in ANY way! I've tried resetting and recreating the unit, triple-checking the command card to make sure it was set up properly, and even copying the abilities and command card directly from a unit that worked, it all resulted in the same thing- an 'Attack' button that was not visible. Same with the Load and Unload All buttons for the transport ability. What in the world is going on, here?! I'm importing a Starcraft 2 model, and while I know that it needs to be Assets\Textures, I don't know where to put the Assets\Textures folder. I've tried just about everywhere and it worked once or twice what I can only conclude randomly (???) and only for the diffuse textures, even though all of the required textures are in the folder. I've tried putting it in the install directory for 3ds max, the maps folder in the 3ds max install directory, the folder containing 'materiallibraries' and stuff like that, and even in AppData and 'Common Files' in Program Files (x86) with no consistent success. I also looked over your tutorials but I didn't see anything specifically mentioning where to put it. Edit: I just now tried putting it in the folder containing the m3 model, which I had tried before, and it worked again, but only for some of the materials. It said 'successful import' for all of the textures, but only some are actually working? Edit2: Got the teamcolor working on the diffuse textures, but there's still the issue of it not recognizing all of the other textures, like the normal, specular, and emissive maps? Hey guys! Thanks for all your help, I managed to get it working with your advice, so now I have a trial/student copy of 2011. However, when I use the Art Tools + TM's M3 importer, it doesn't import any textures at all! Just blank. What am I doing wrong? Do you have any advice on how to get Max 2011? I can't afford it, and it isn't available as a student download anymore. 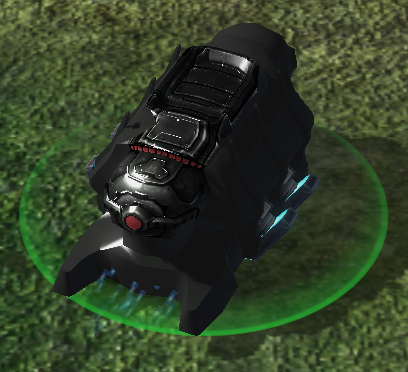 I'm trying to add teamcolors to a campaign unit that uses the model "Assets\Units\Terran\DominionTrainFreightCar\DominionTrainFreightCar.m3" but even when I import it into max and then export it back into sc2, the textures are completely broken even when I don't make any changes. I'm using the M3 tools provided by NiNtoxicated01 and Leruster, because the Blizzard ones require Max 2011, which I can't get for free. As you can probably tell, SOME of the textures work and I've taken extra care to make sure that it's in the right place and the textures are in the right place as well. But for some reason one of the textures turns up entirely gray. I've tried a lot of things, such as (in max) assigning a material that works to the area that's broken, but then that just broke BOTH areas, and it was more of a mess. I'm really not sure what to try at this point, and I'd appreciate any help.